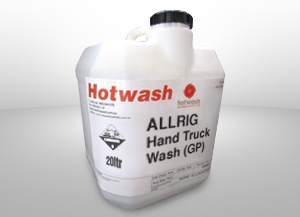 ALLRIG – Hand Truck Wash – GP is a Concentrated Alkaline Liquid containing a specially selected blend of biodegradable surfactants and Alkali. ALLRIG – Hand Truck Wash – GP has been specifically designed to produce a Quick Break effluent which allows oil and greases to be readily separated from water in a suitable interceptor system. ALLRIG – Hand Truck Wash – GP is designed for the regular cleaning of painted surfaces to remove a variety of traffic soil and can be used with a wide range of automatic vehicle washing equipment. 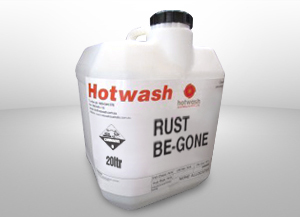 It is also a good degreasing solution for the removal of both light and heavy contamination. It has been found to be very effective in removing the soft or “sludgy” carbon often found in engine sumps.